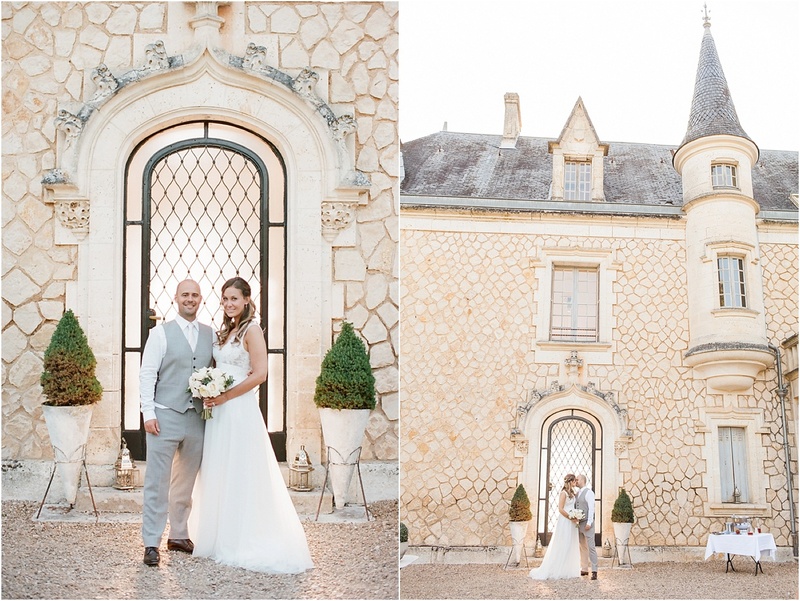 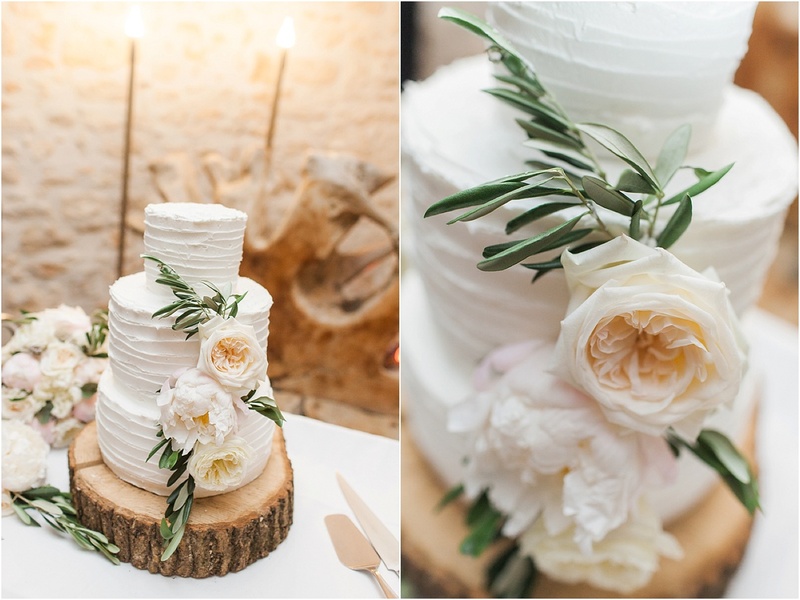 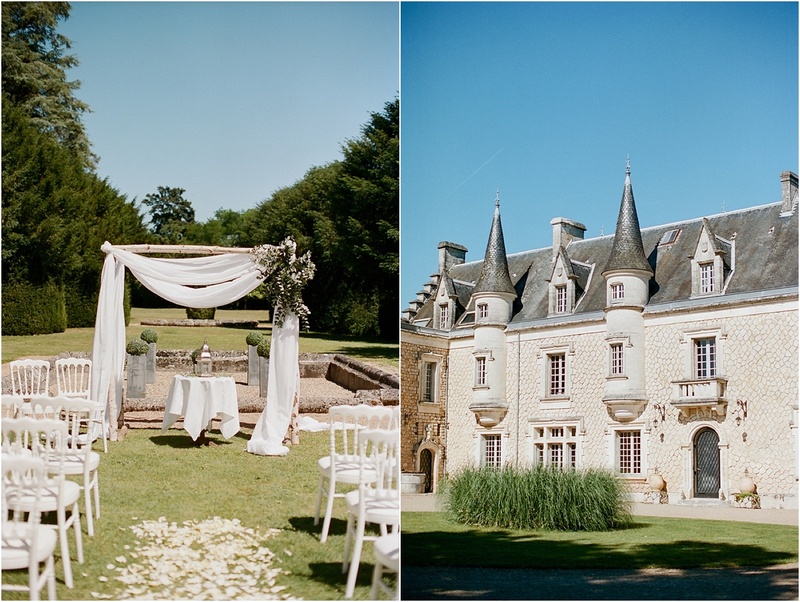 Kathryn & Gui’s beautiful Chateau de la Couronne wedding was like something straight out of a fairytale – complete with actual turrets! 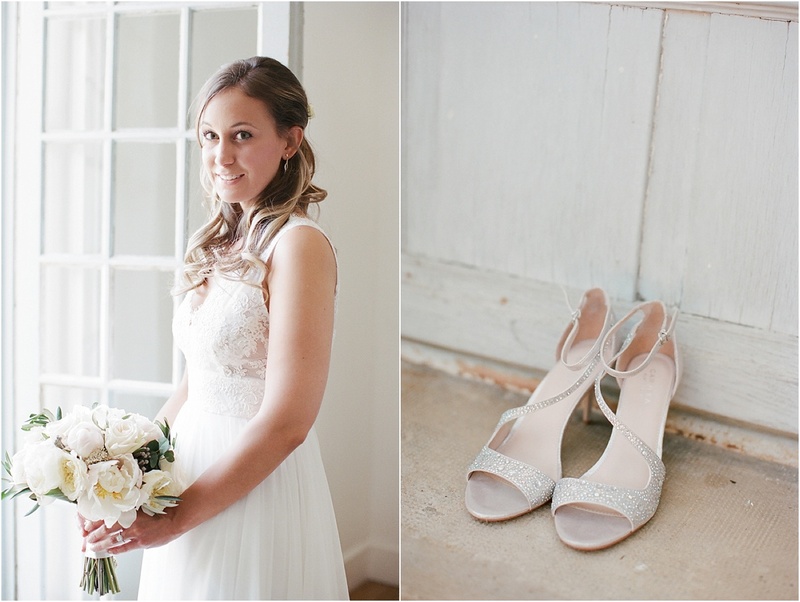 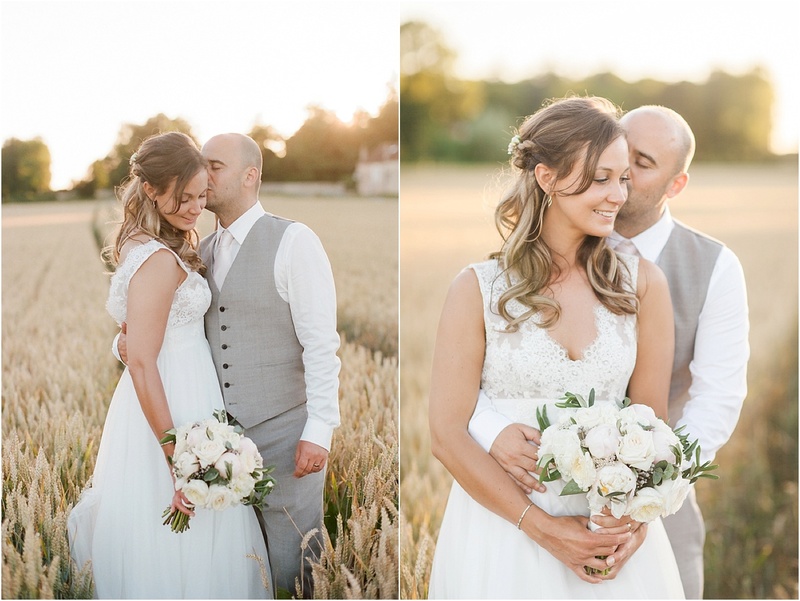 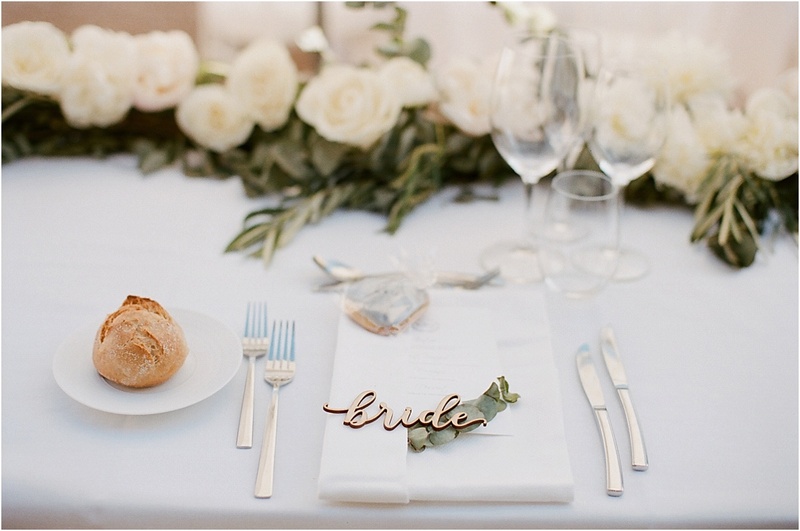 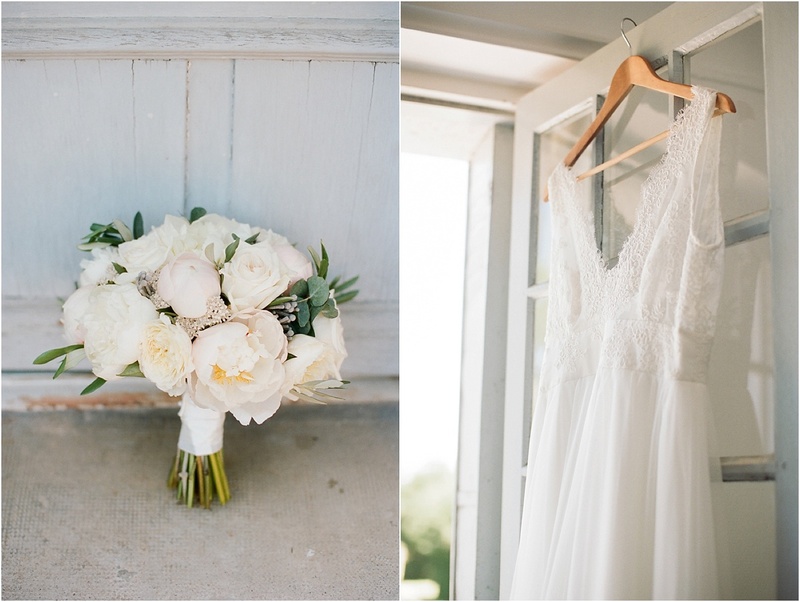 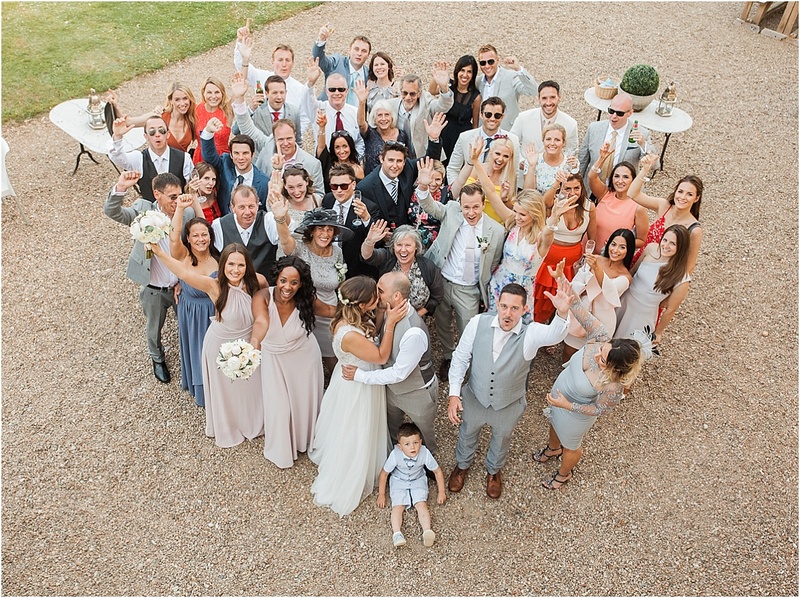 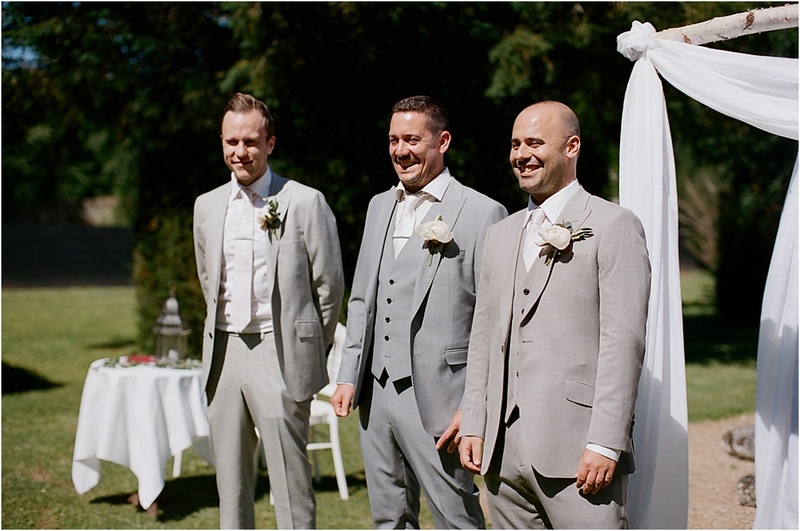 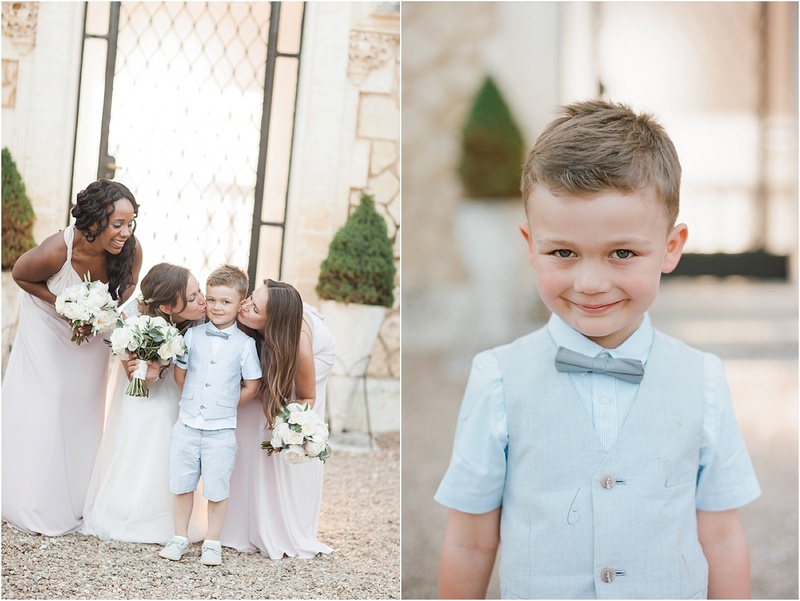 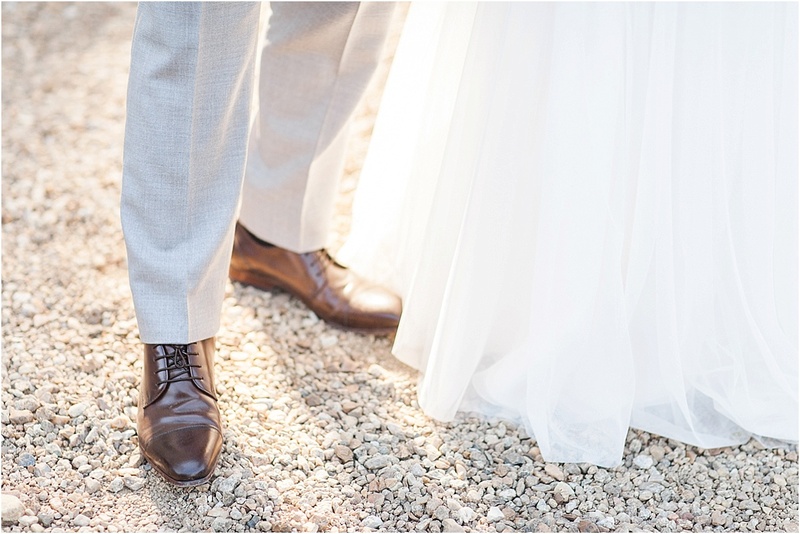 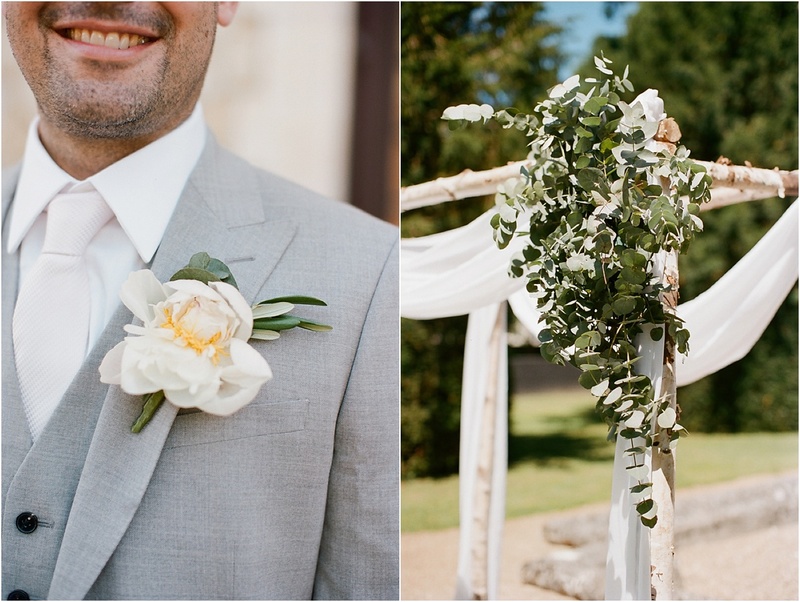 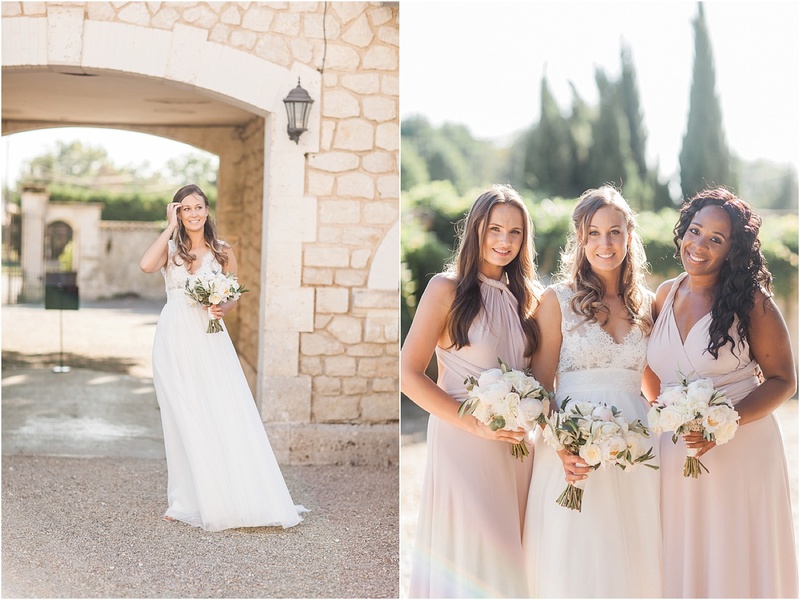 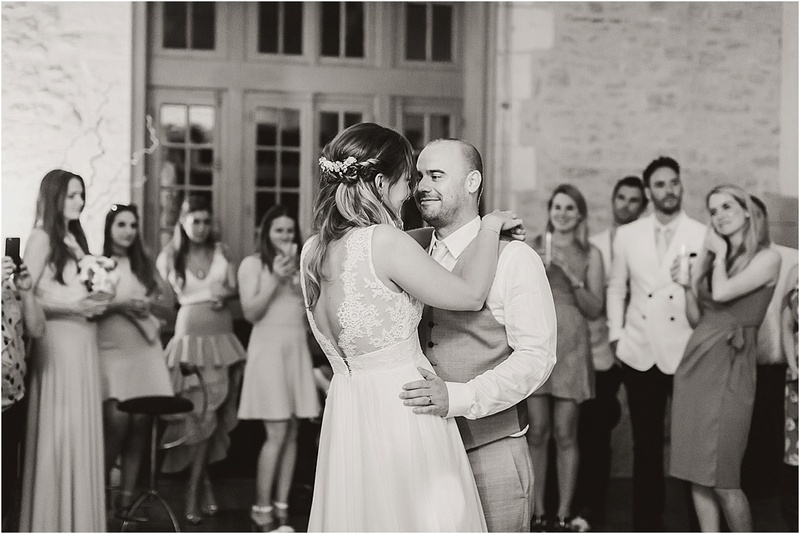 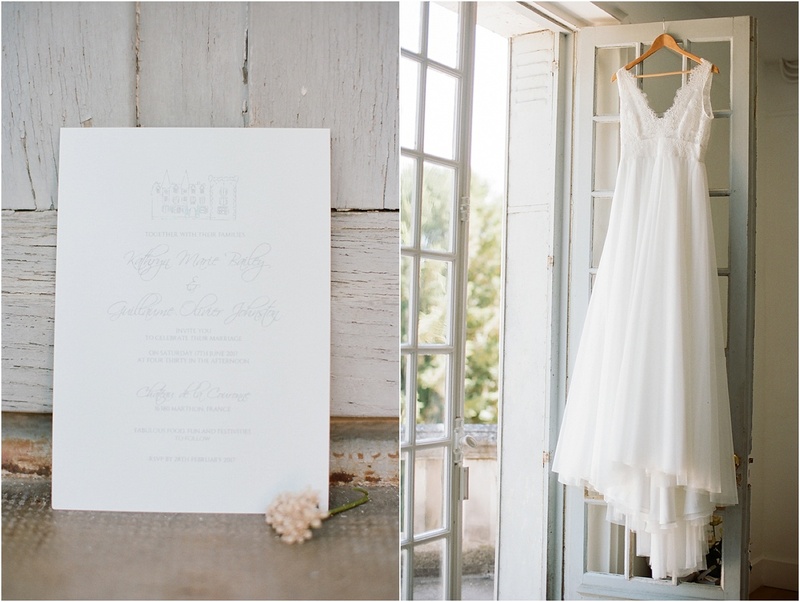 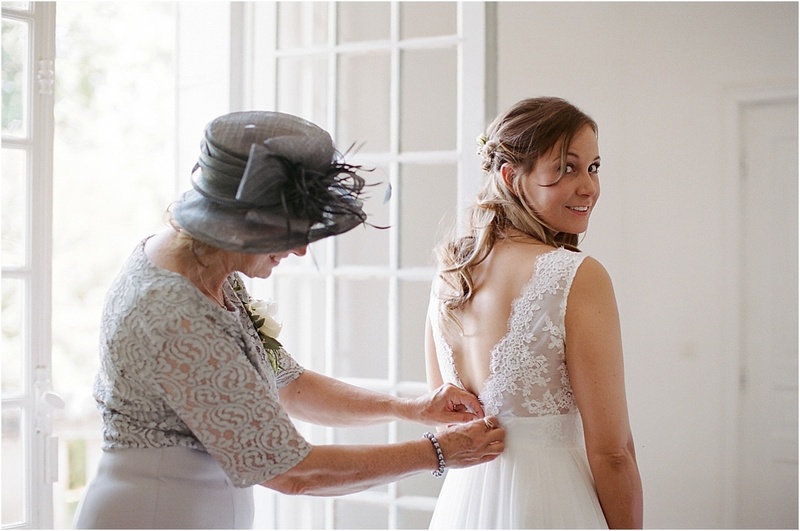 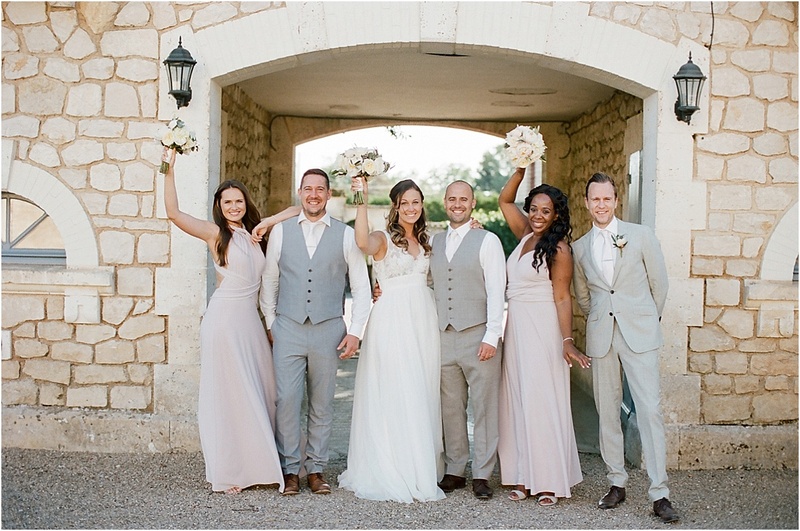 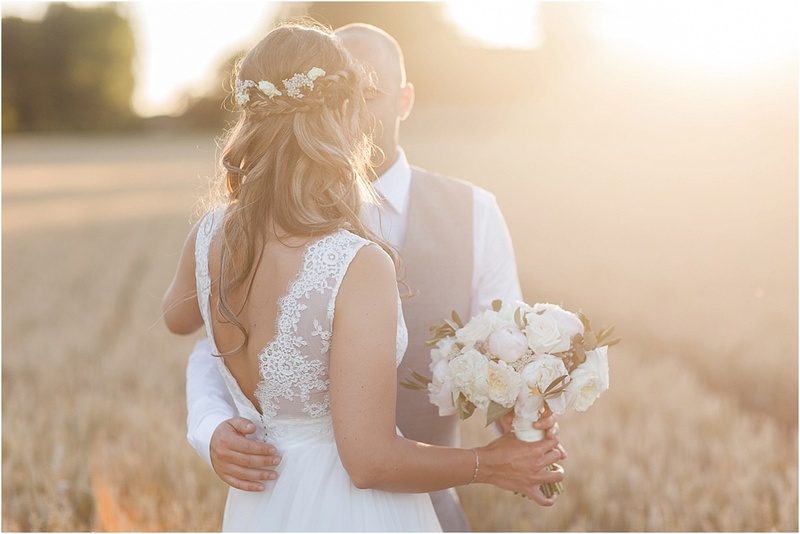 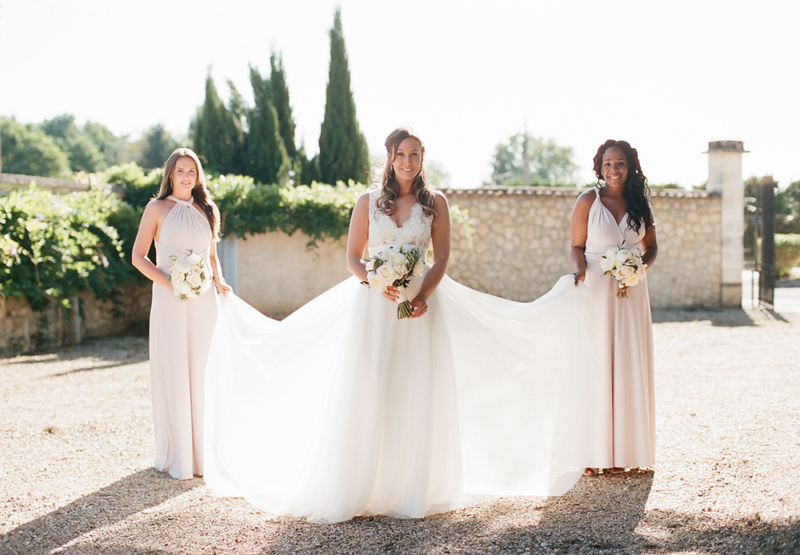 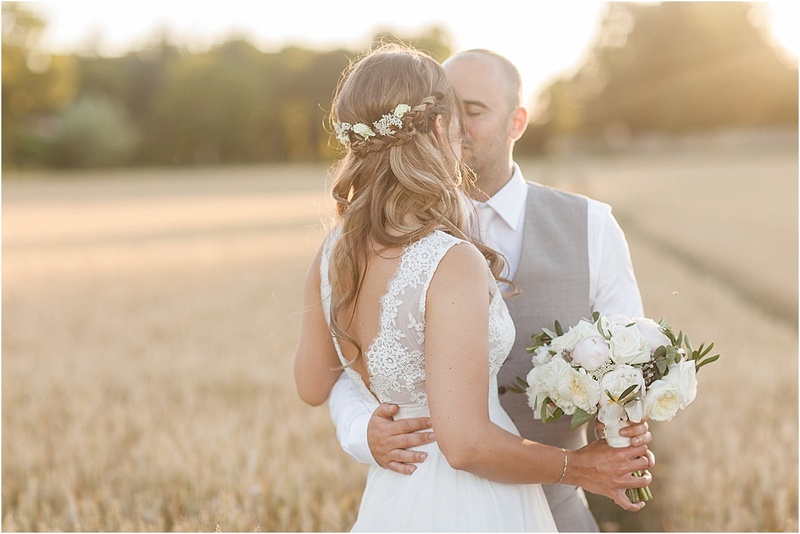 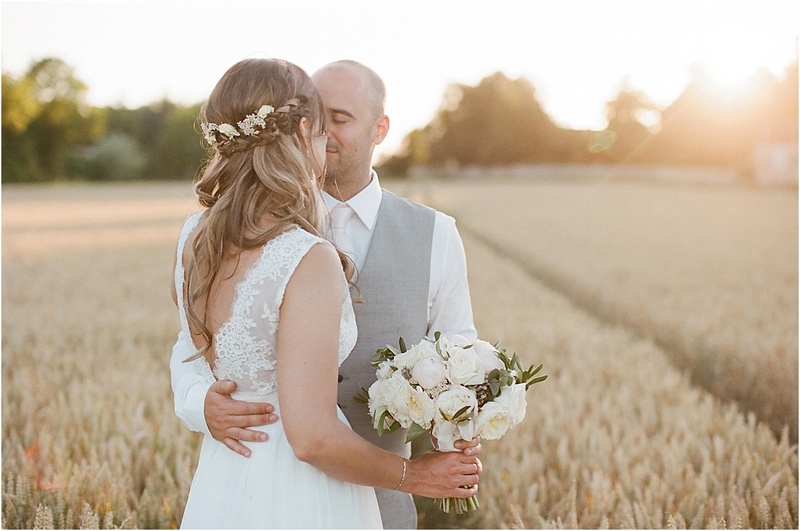 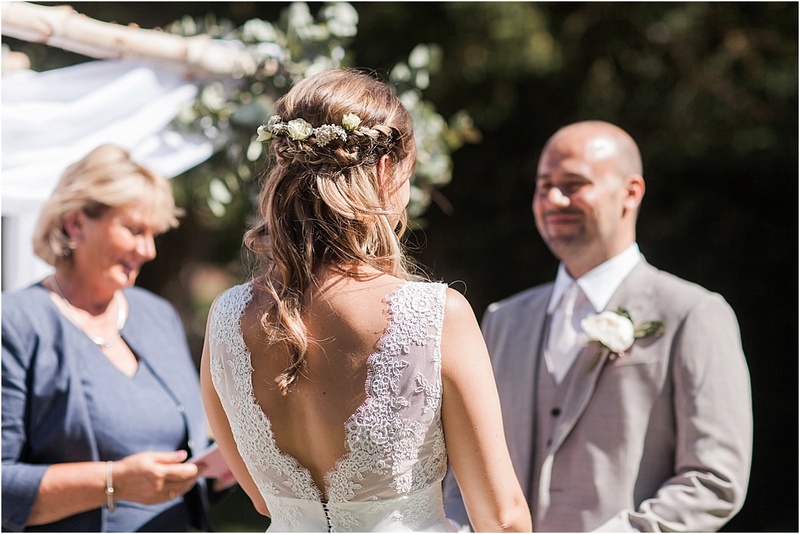 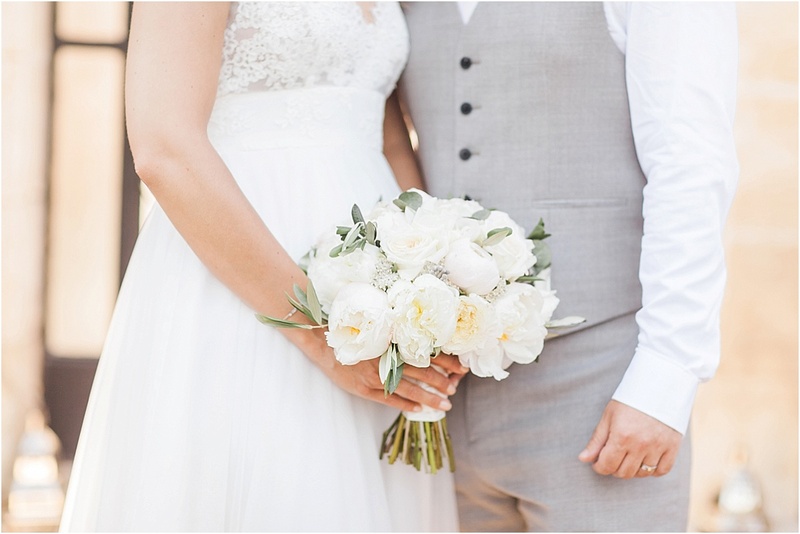 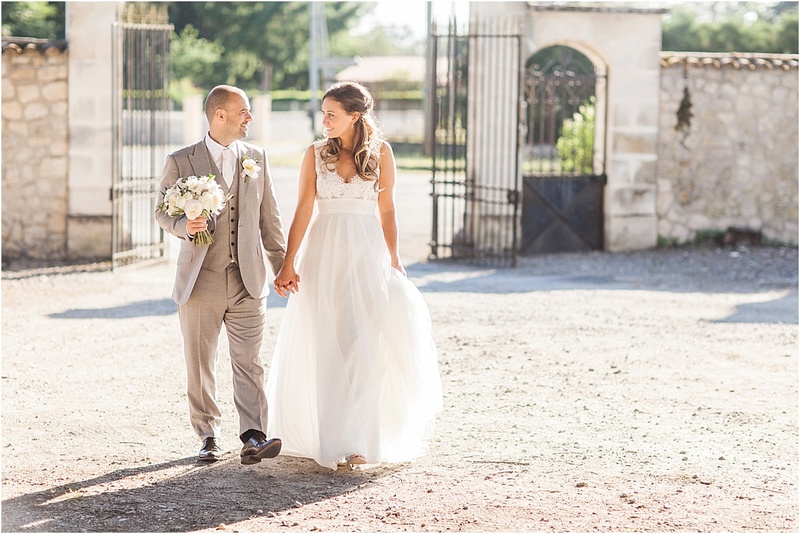 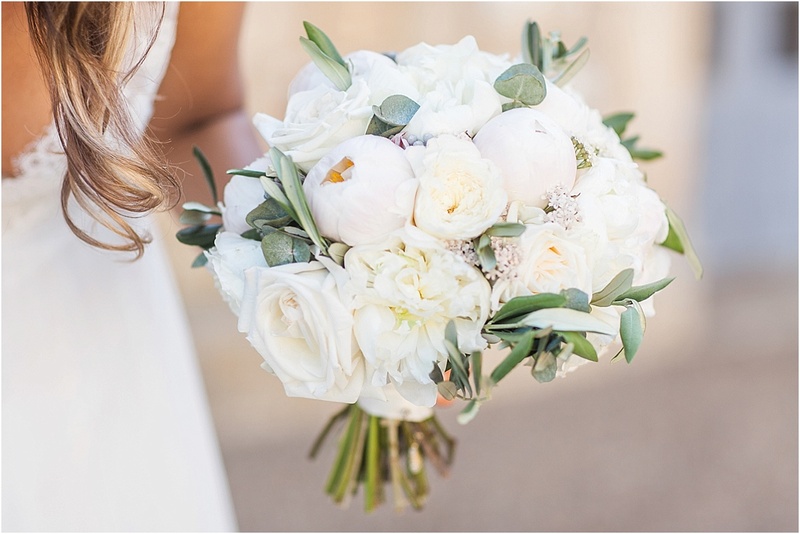 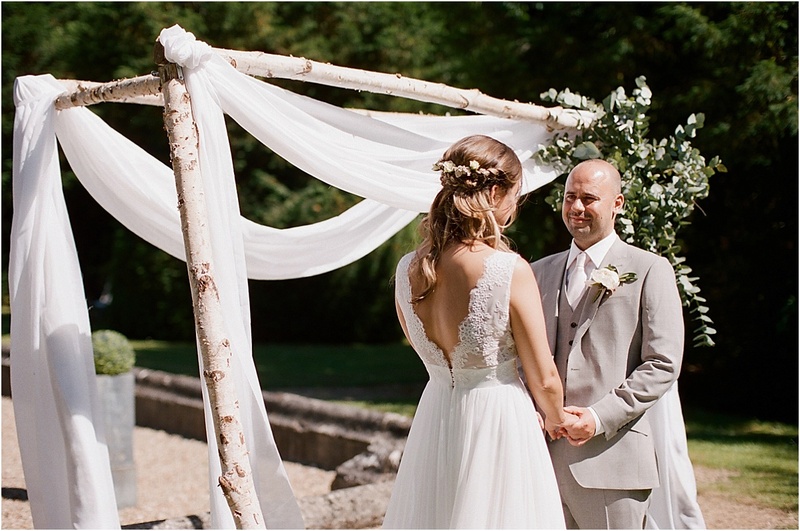 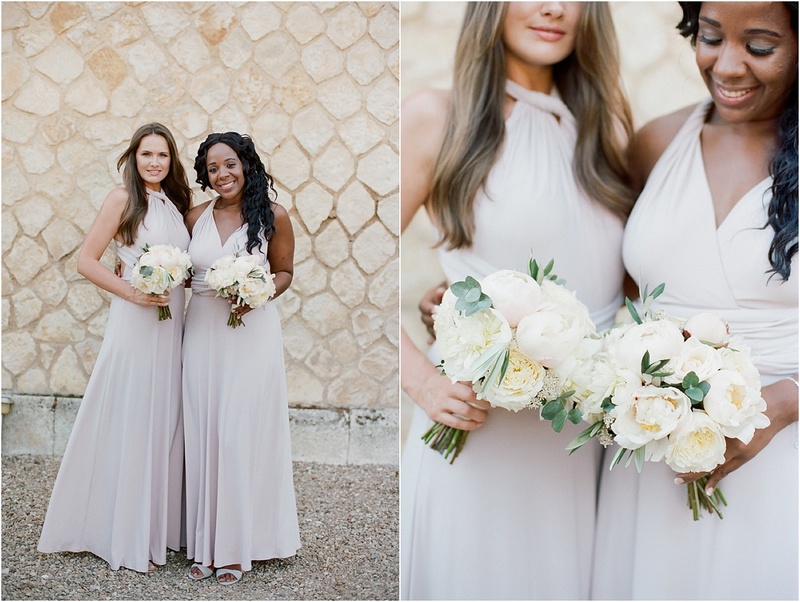 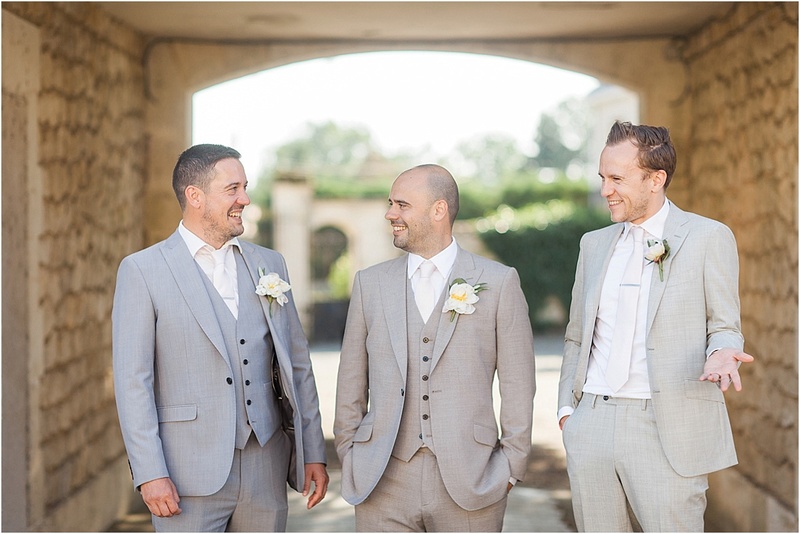 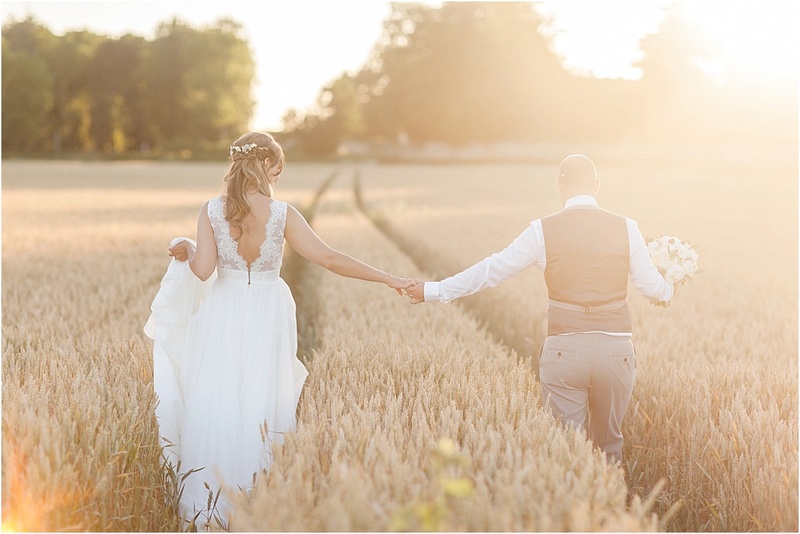 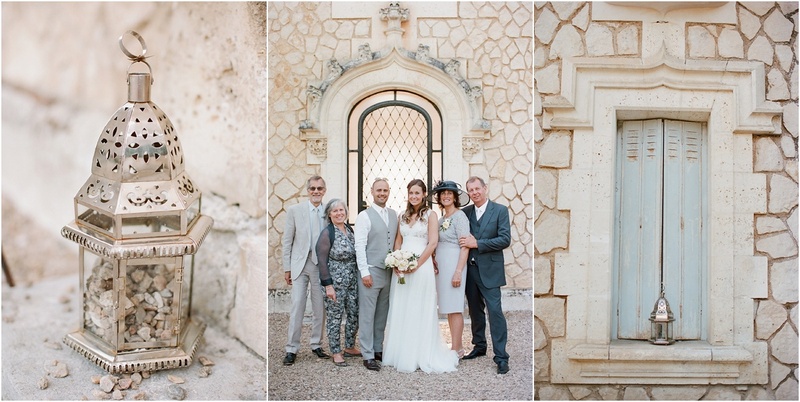 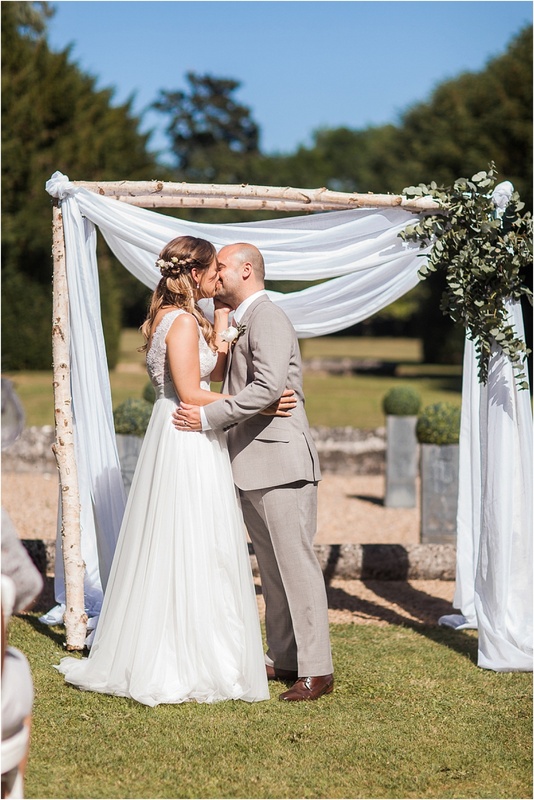 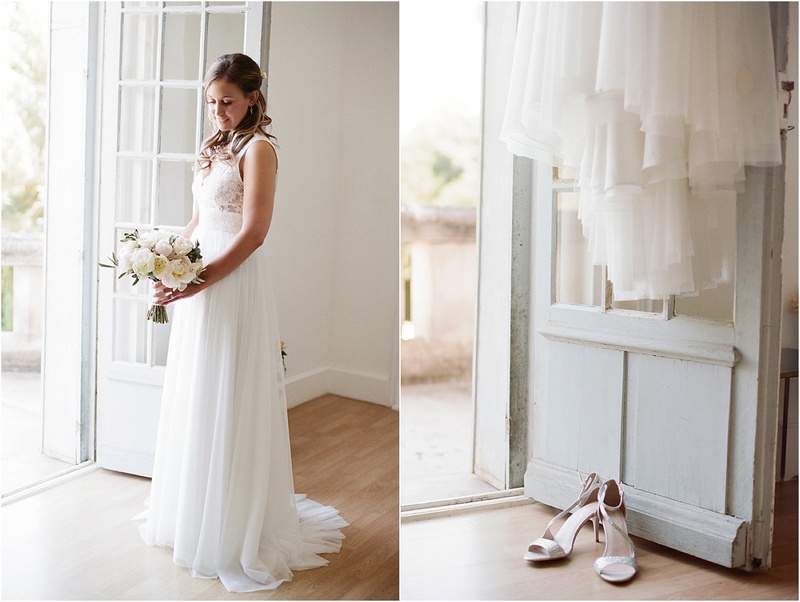 Kathryn looked divine in her Cymbeline gown – an appropriately French designed wedding dress for her French wedding – and Gui was every bit the dapper groom in his Reiss suit. 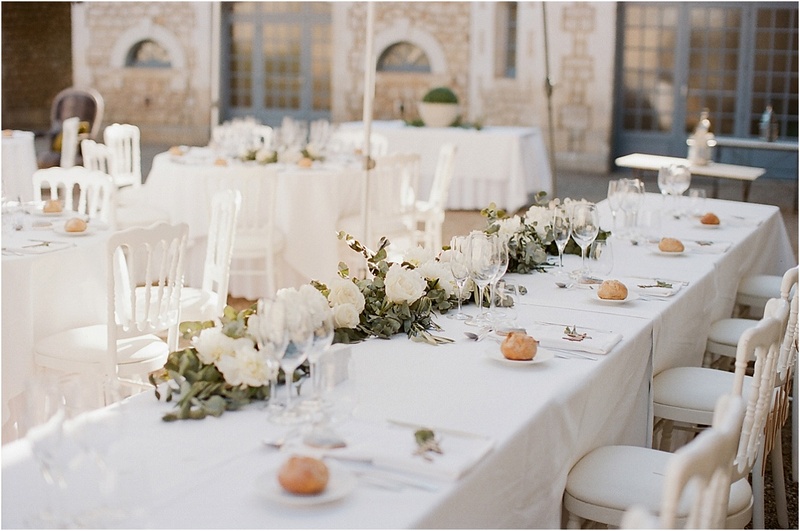 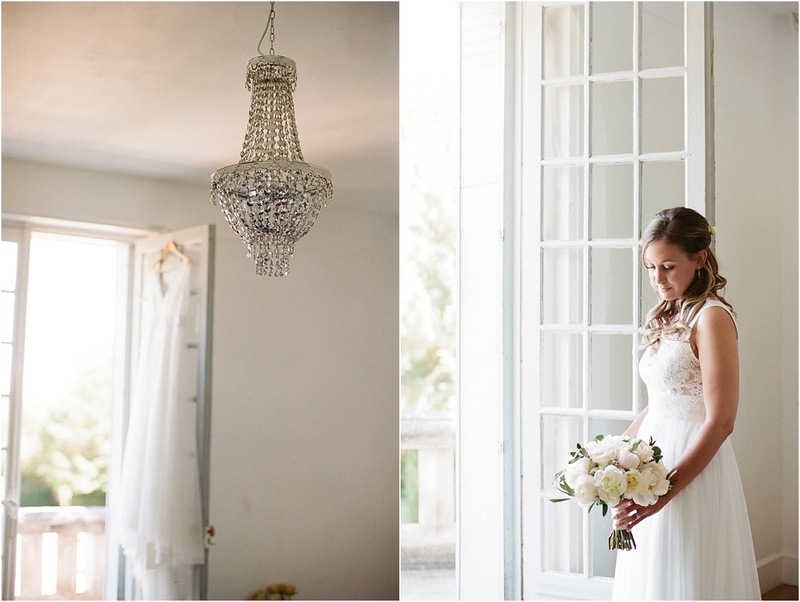 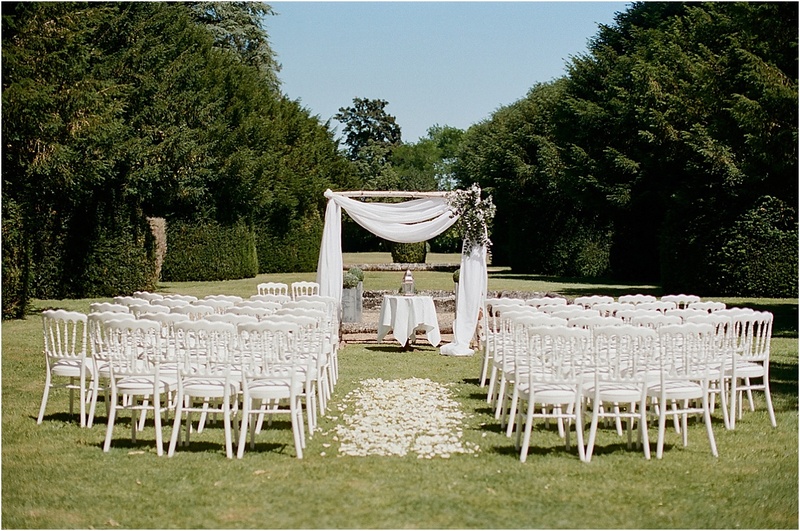 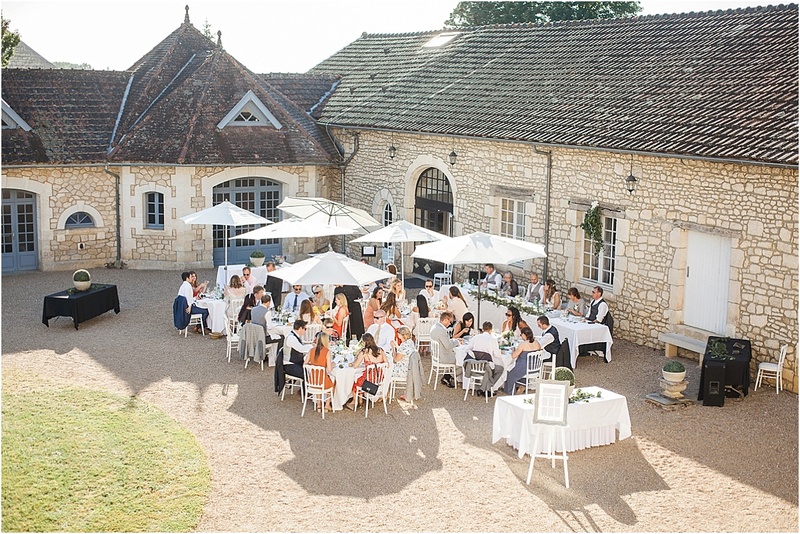 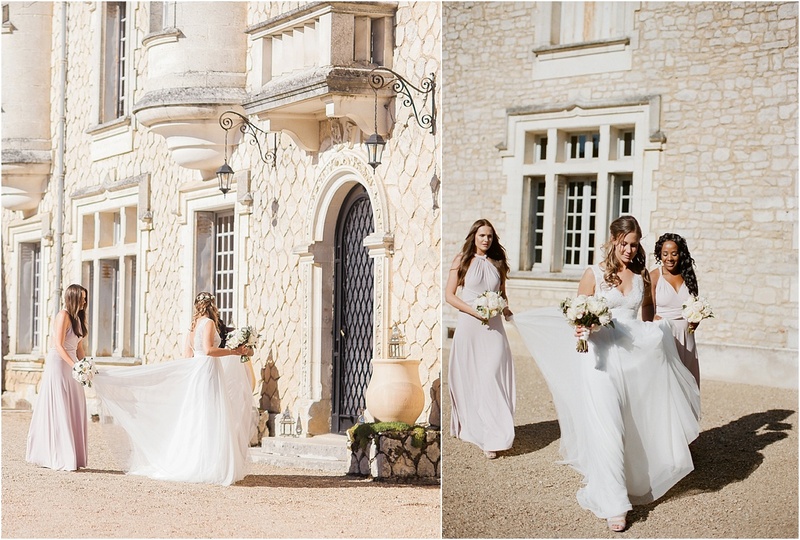 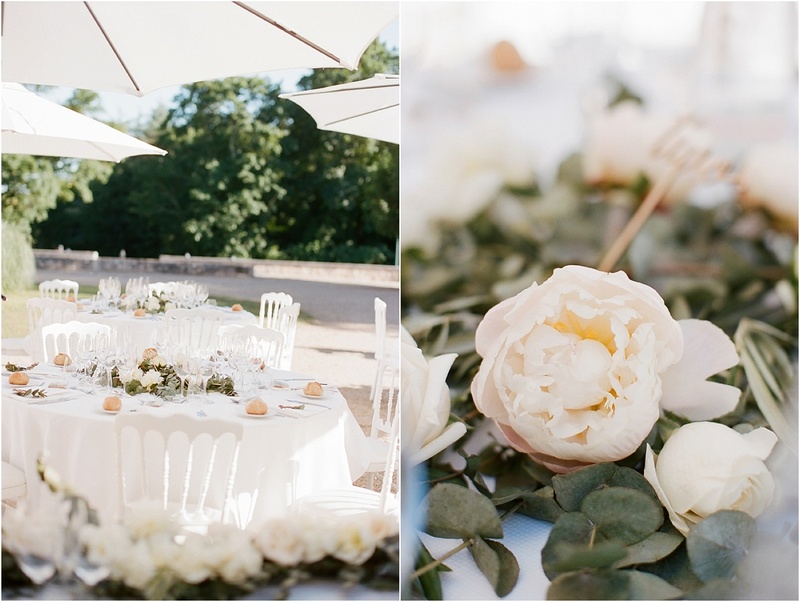 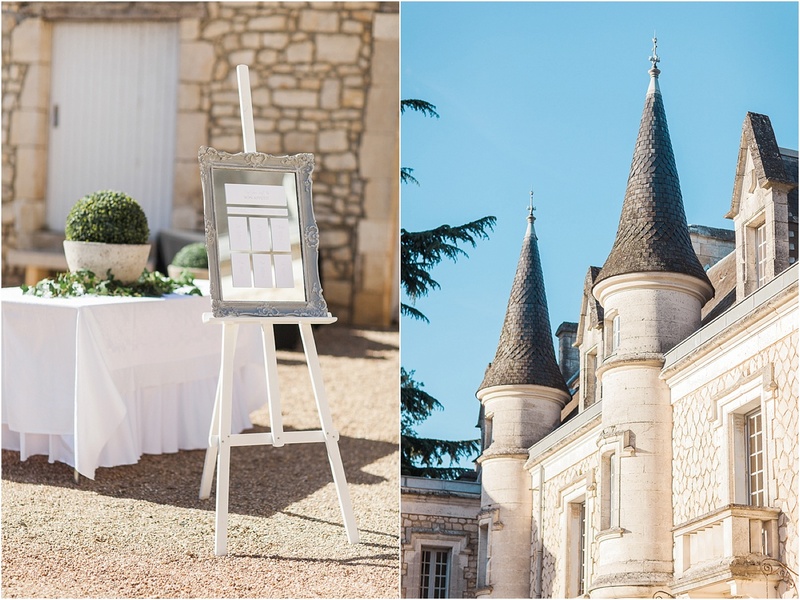 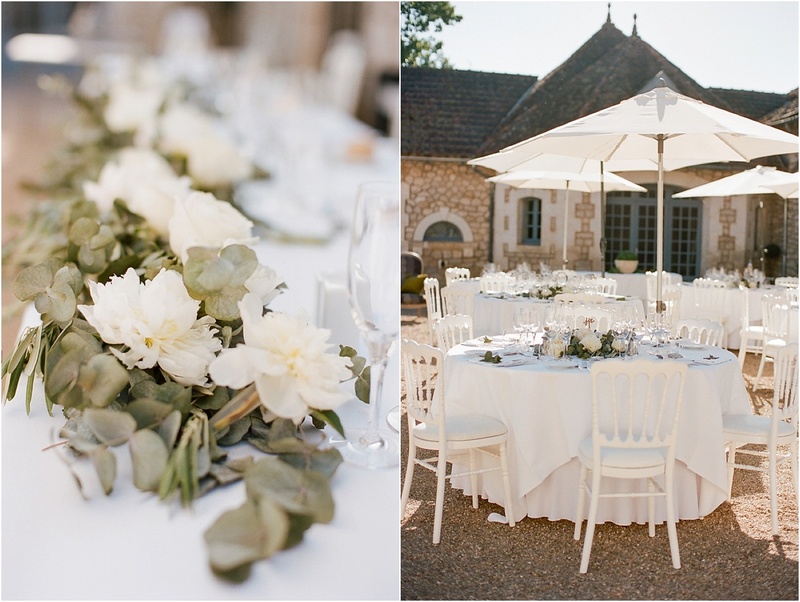 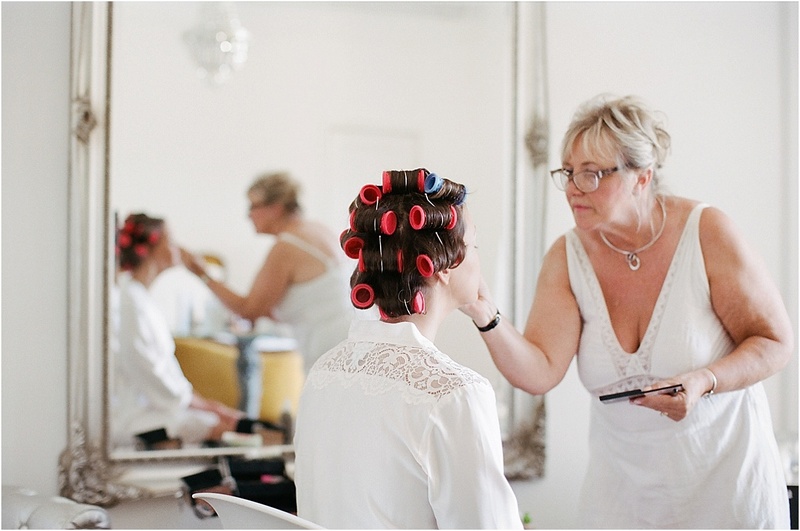 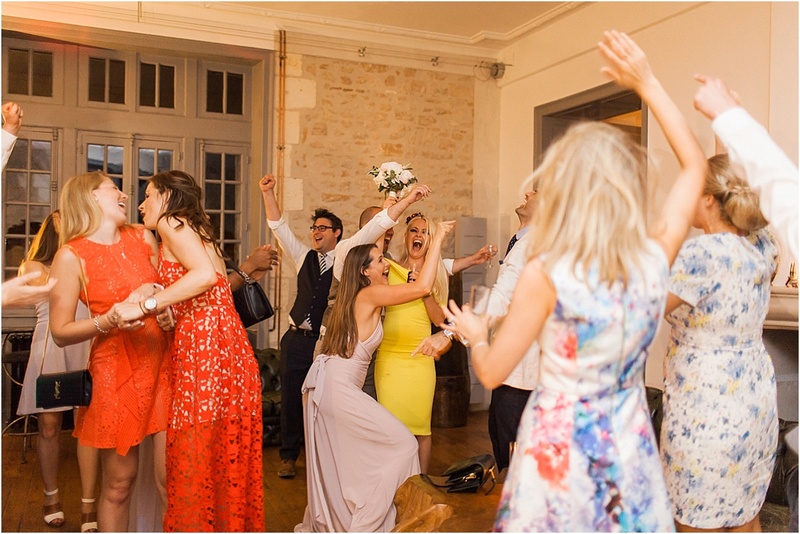 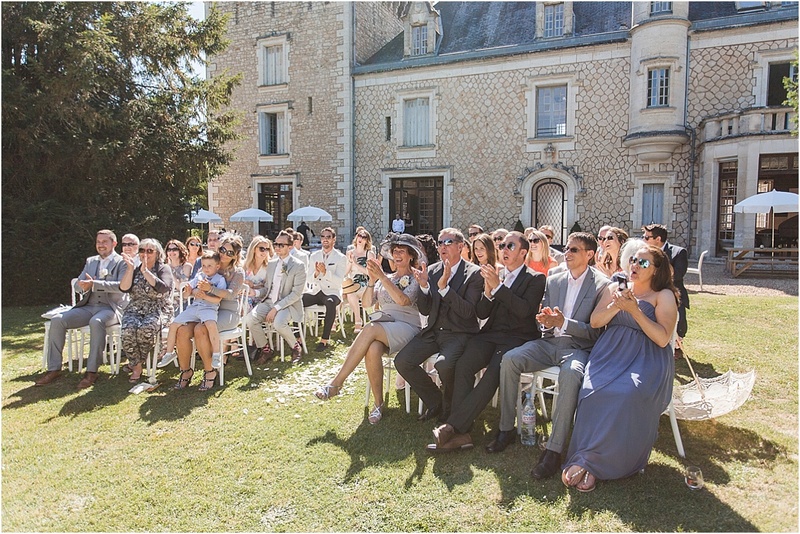 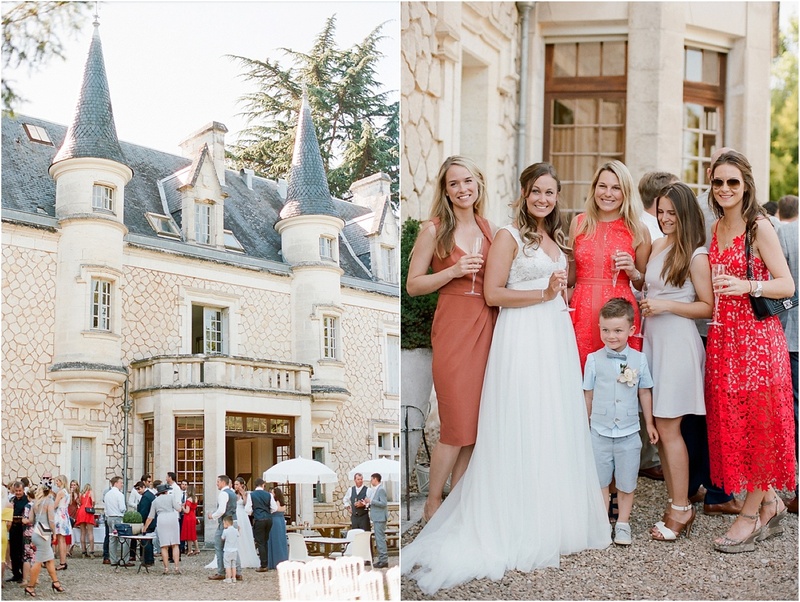 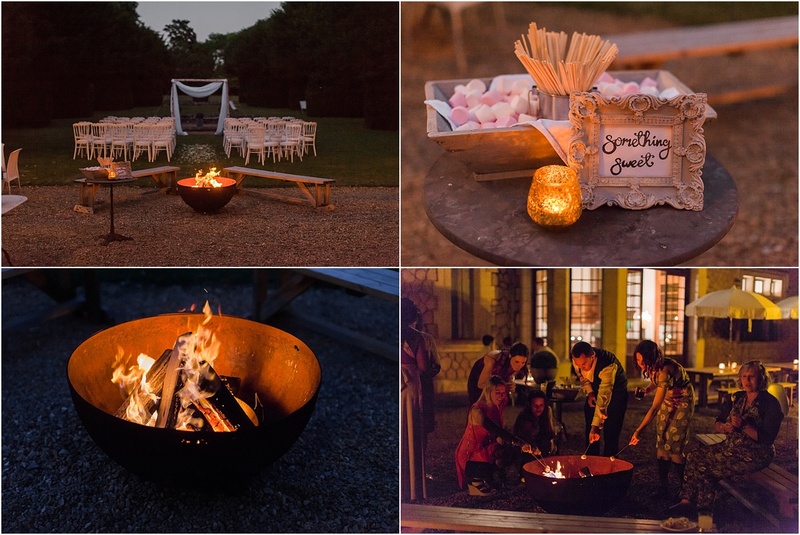 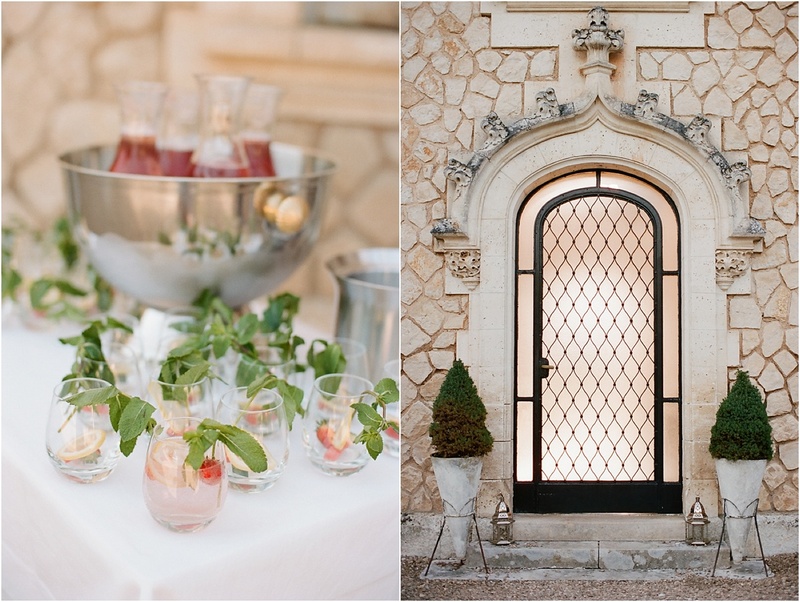 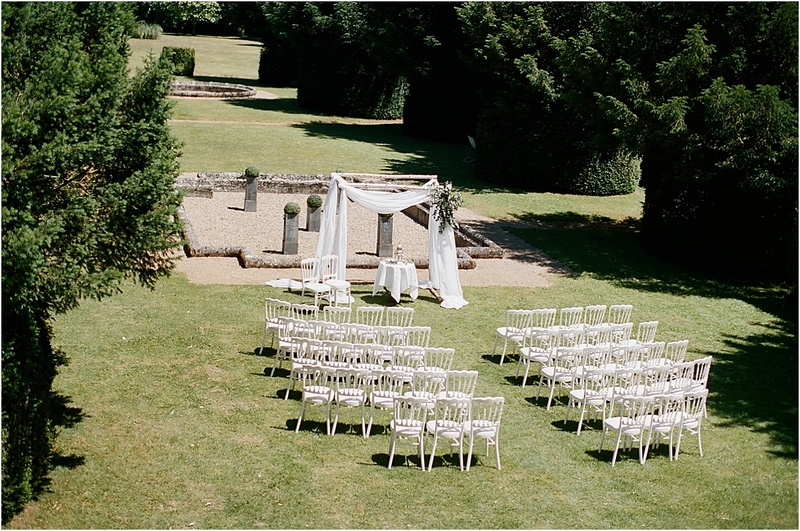 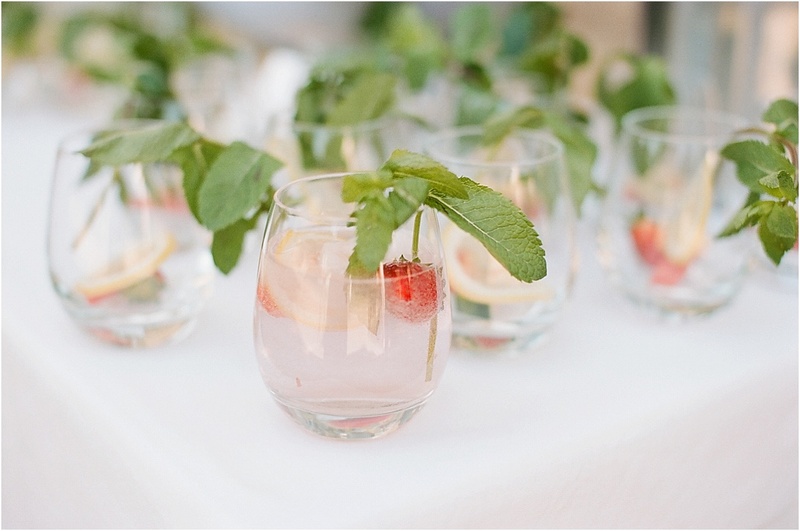 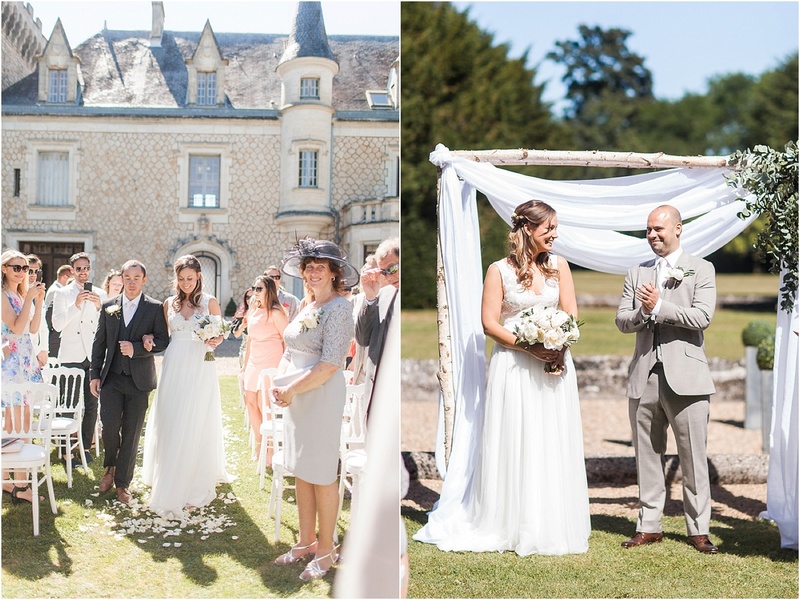 Chateau de la Couronne is a stunning venue; a beautifully restored chateau nestled in the French countryside, blending authentic French character with eclectic style, and generous dose of luxury. 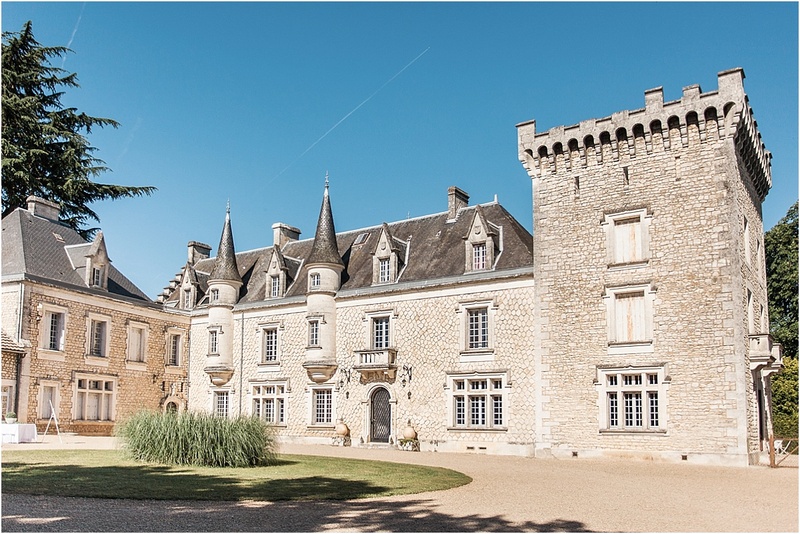 The chateau sits on the edge of the pretty village of Marthon, in the Charente region in South West France (the region I am now lucky enough to call home! 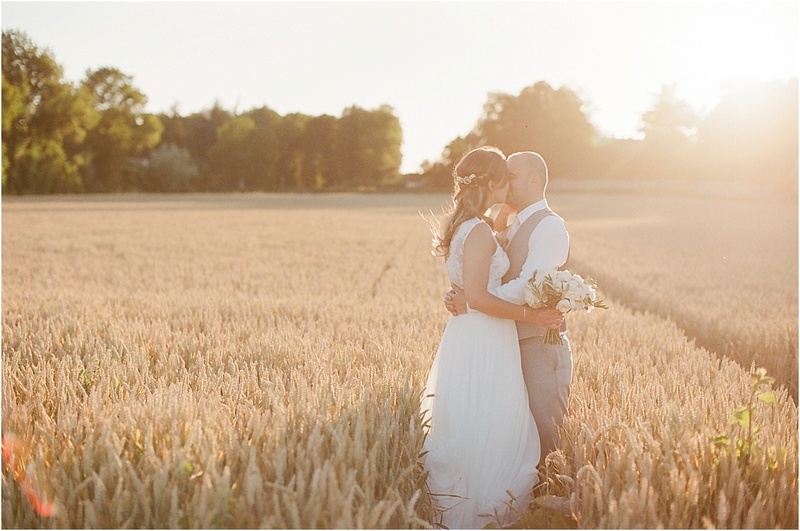 ), surrounded by golden fields. 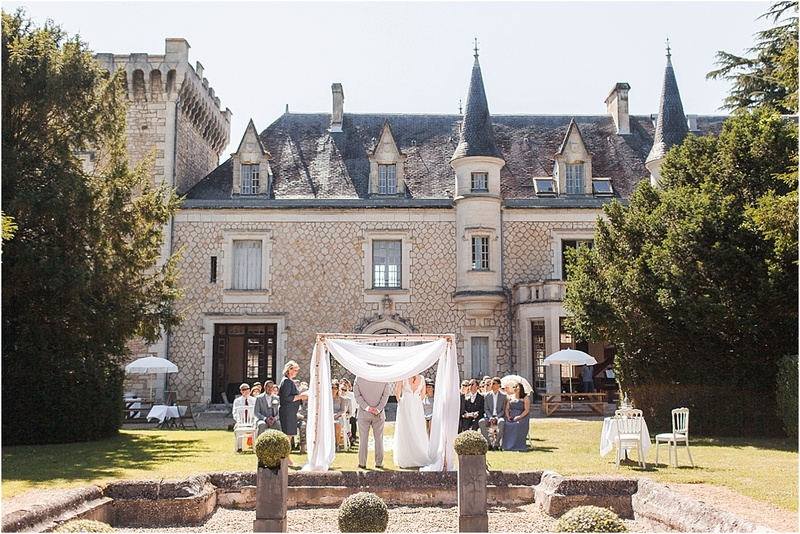 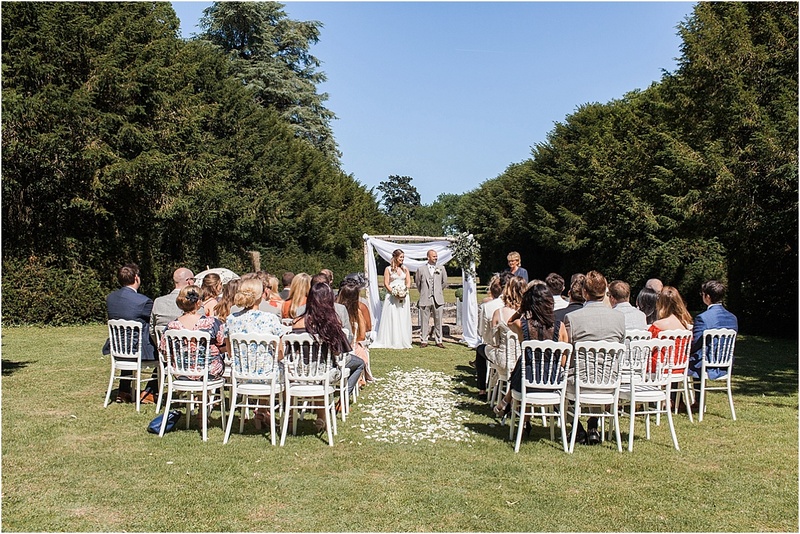 The weather was glorious; perfect blue skies for the outdoor ceremony in the chateau grounds, beautiful golden hour light and a balmy evening for the al fresco dinner in the courtyard. 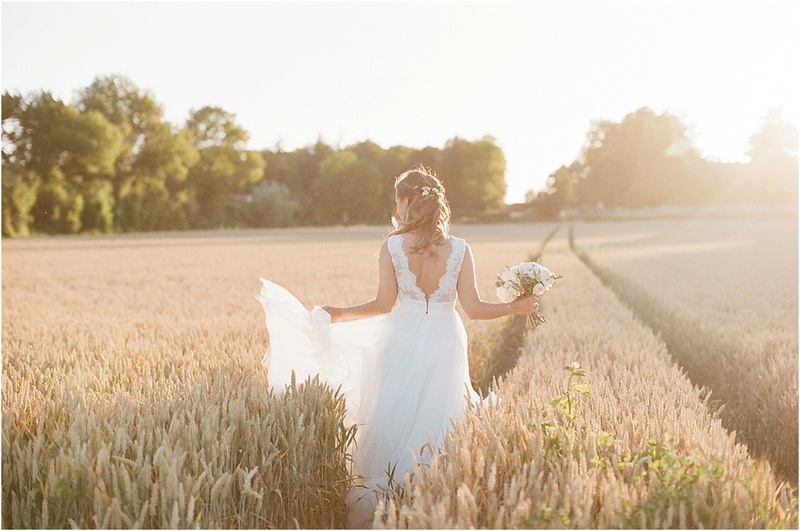 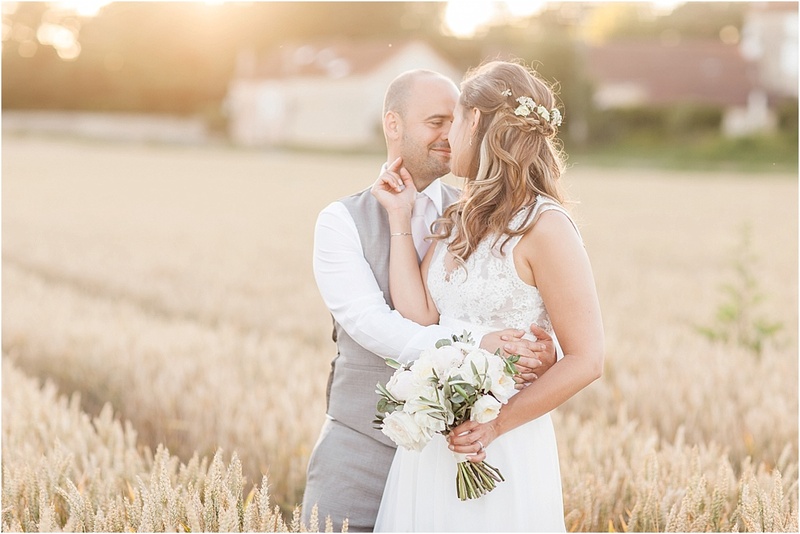 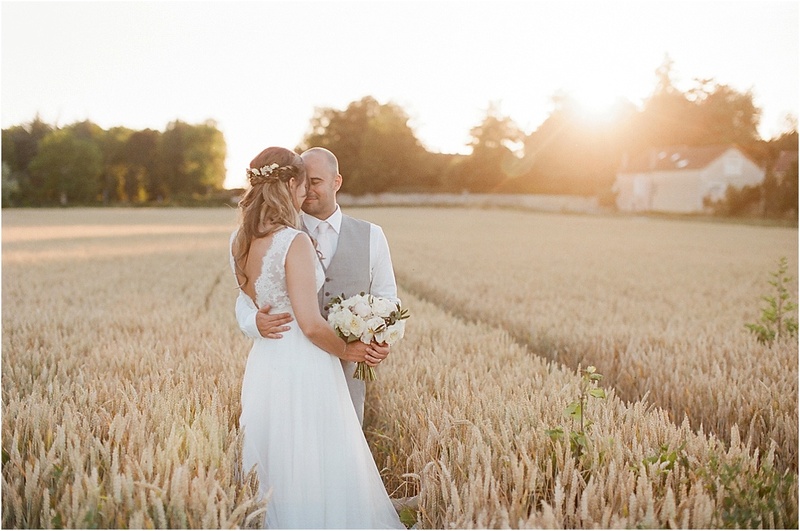 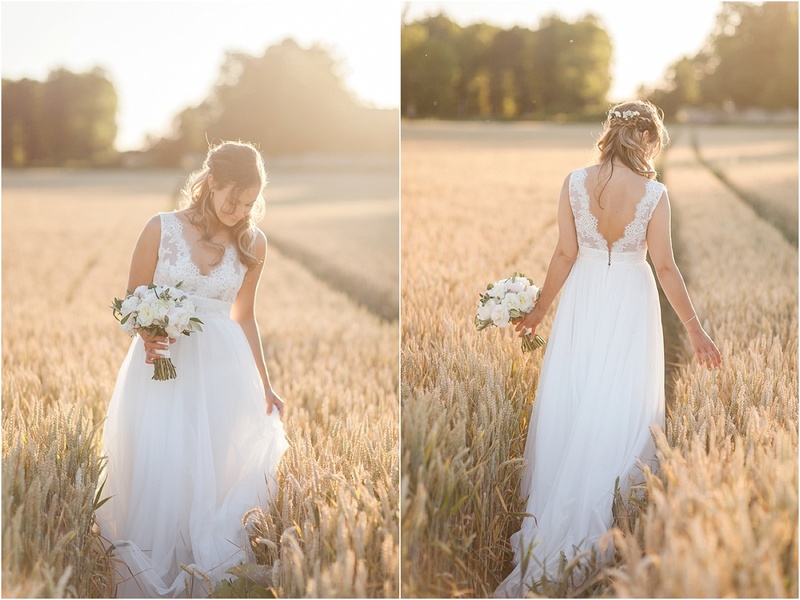 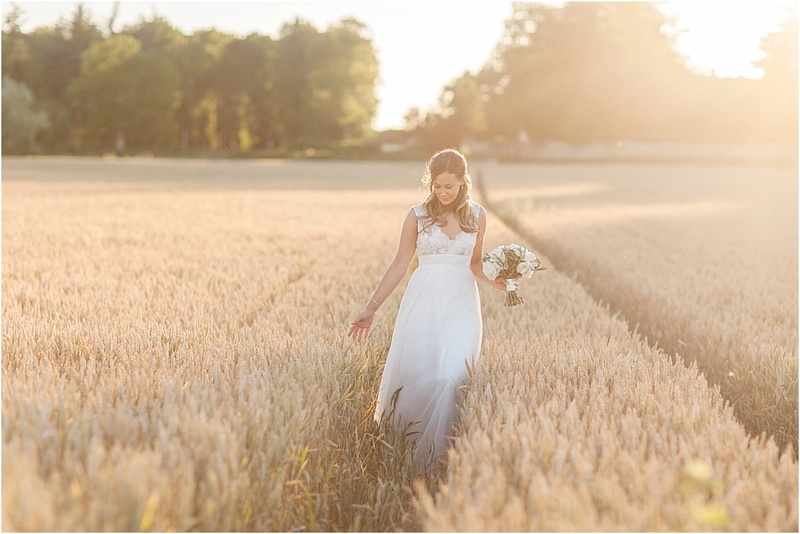 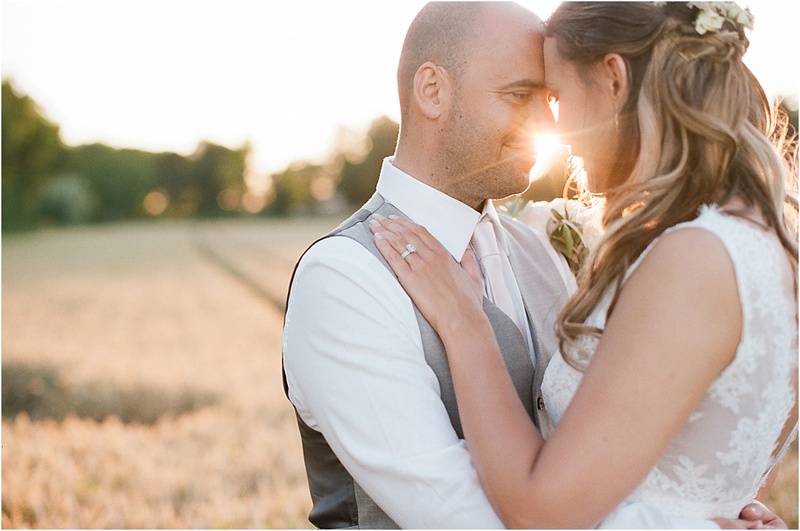 Of course, spying the perfect cornfield just down the road from the chateau, we just had to slip away before the speeches for some gorgeous golden hour portraits 🙂 Aside from all the pretty, the wedding was infused with genuine love and laughter throughout the day, from the moving ceremony to the emotional speeches (yes, I cried! 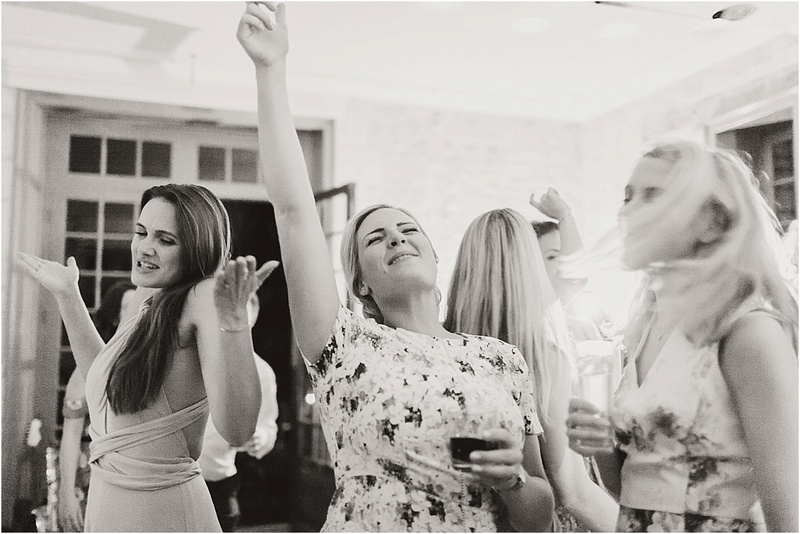 ), finishing up with such an awesome evening party I stayed to the very end! 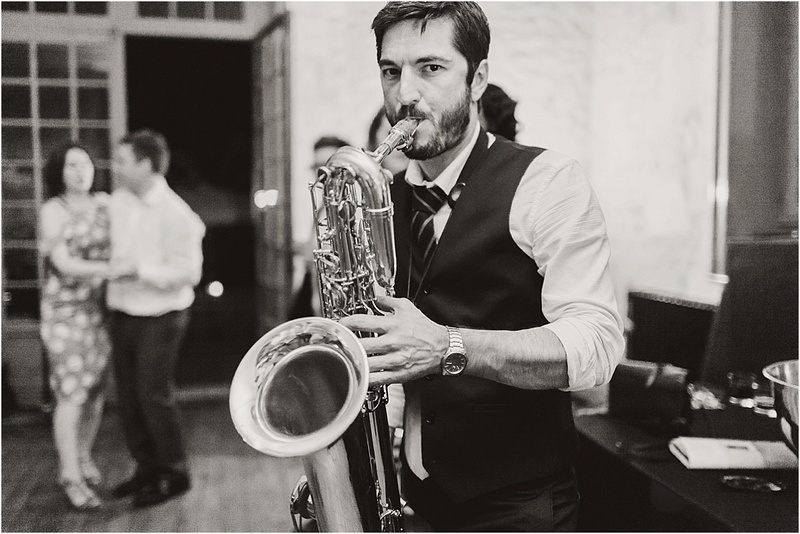 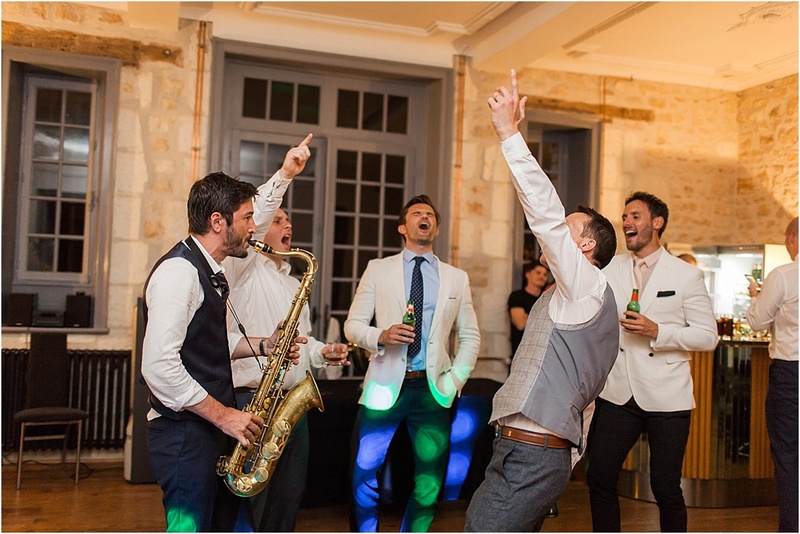 (Top tip – having live saxophone alongside a DJ adds an amazing atmosphere, without the expense of a full live band!). 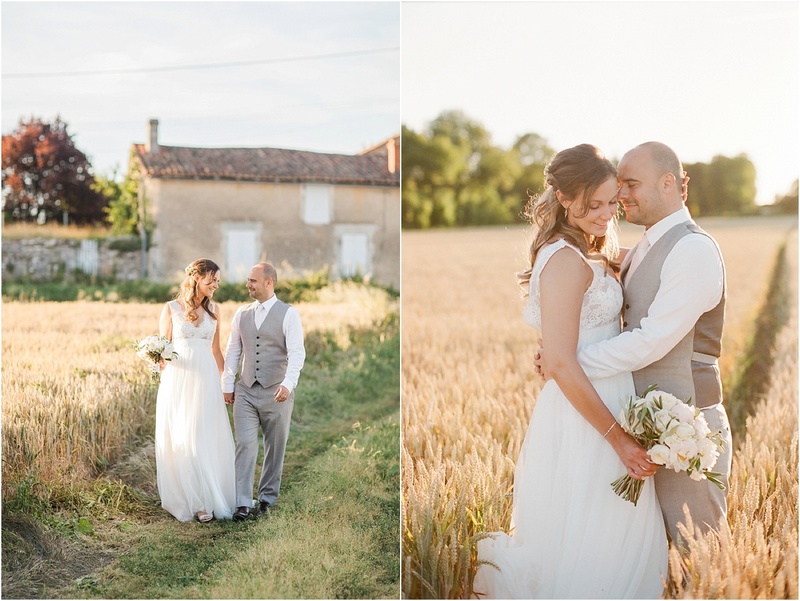 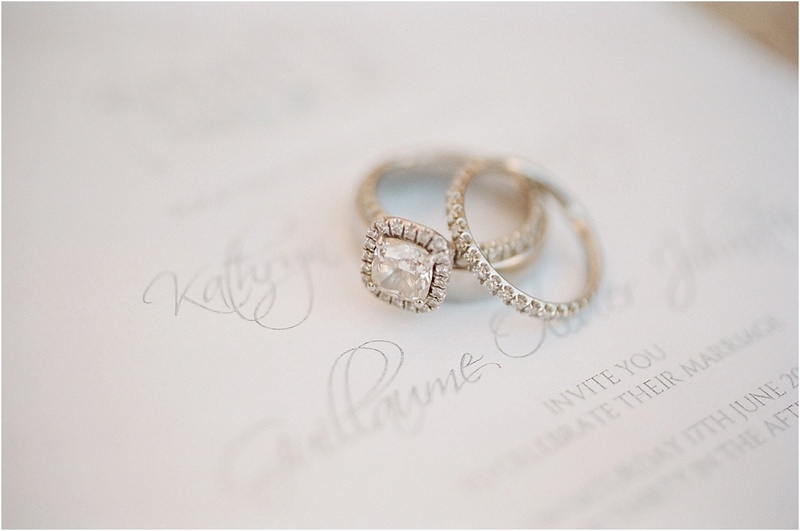 Kathryn & Gui are the sweetest couple, their friends and families are lovely, and it was an absolute joy to be a part of their special day in such a beauitful setting. 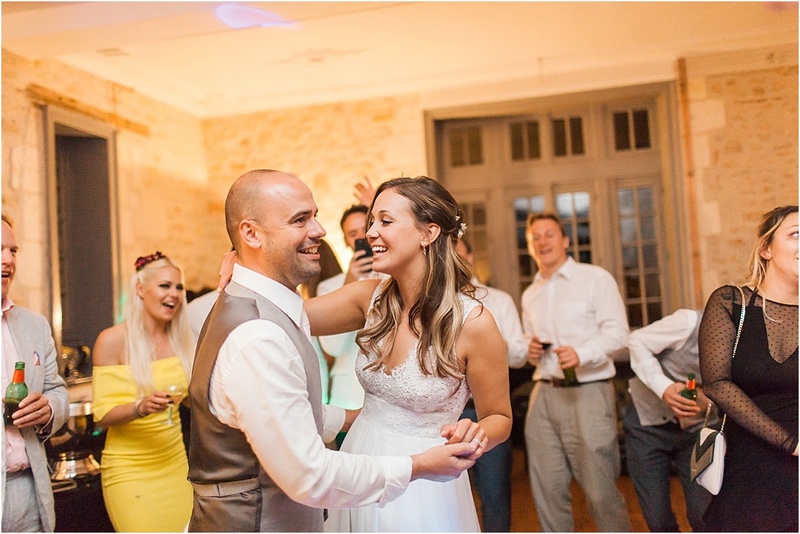 Kathryn & Gui, thanks for having me as your wedding photographer, making me feel so welcome, and being such fun to photograph. I wish you all the very best in your married life together.